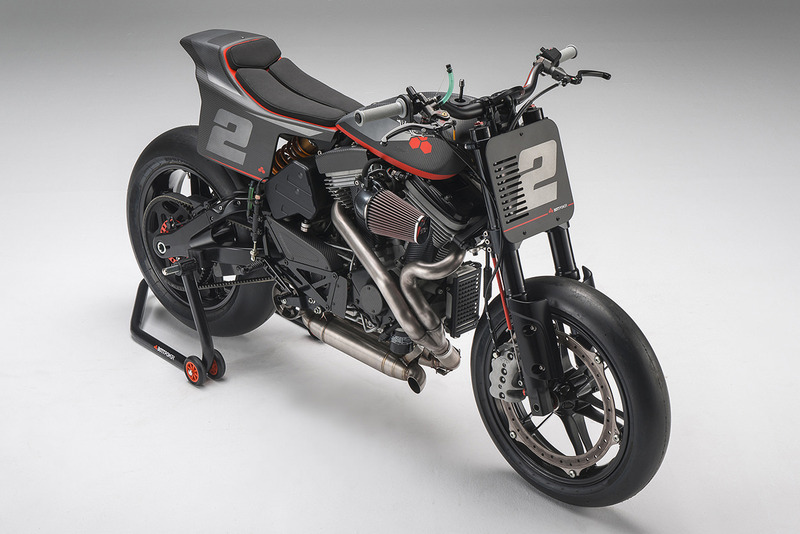 This is a bona fide, track-only machine—powered by a tuned Buell XB engine and put together by a man who knows how to make bikes go very fast indeed. It’s the work of Bottpower—a Spanish shop headed up by David Sánchez. David’s an experienced race engineer, and come race season, you’ll find him doing time on the European Superbike circuit. 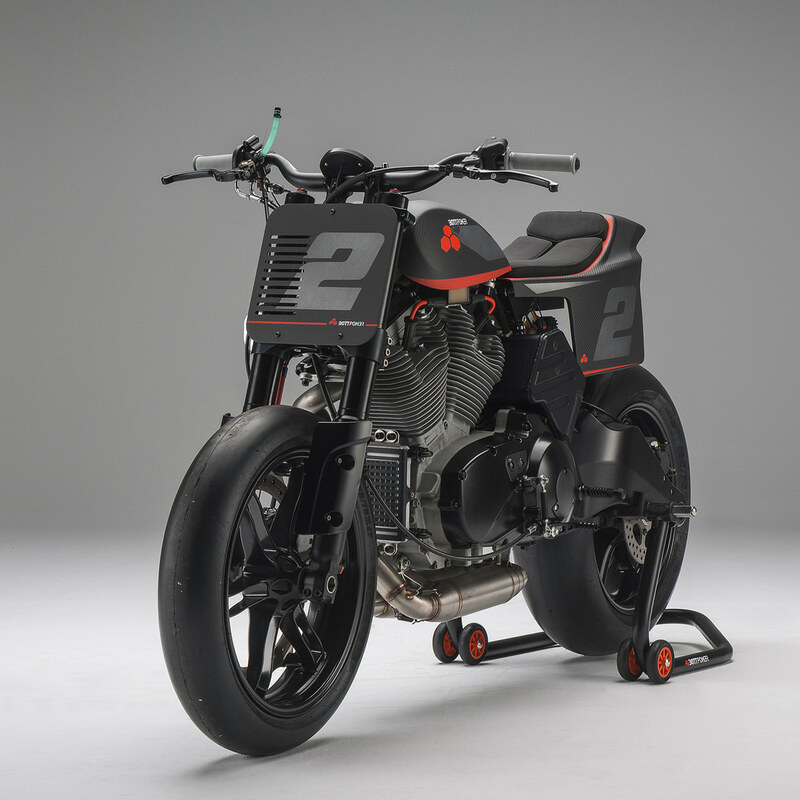 He’s poured all that experience into Bottpower’s latest release: the XR1R, powered by a 1203cc Thunderstorm motor. 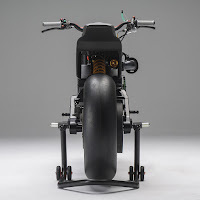 If you’re not familiar with Bottpower’s work, we’ll fill you in: they specialize in bikes built on the Buell XB platform, and also develop and sell hard parts and kits. They’re bikes that we dream about owning, but wouldn’t know what to do with if we had them. The XR1R also does double duty as a ‘Bottpower laboratory bike,’ acting as a test-bed for new parts. And the first of these new parts is a prototype titanium frame. 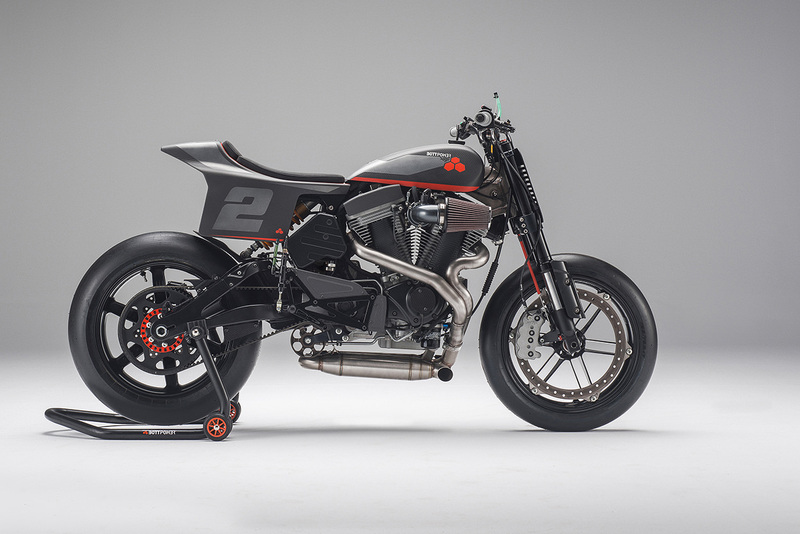 Bottpower bikes forsake the stock Buell XB twin-spar frame for a steel backbone design, using the engine as a stressed member. One of their loyal clients recently requested a titanium version—so they’ve used the XR1R to develop it. It even features a vibration isolation system, and is accompanied out back by Bottpower’s bolt-on subframe. 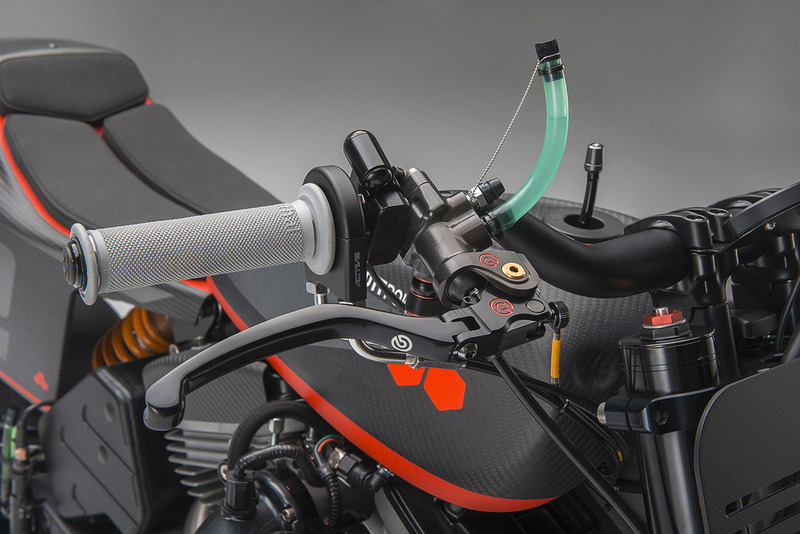 Since the original fuel-carrying frame is gone, the XR1R’s kitted with three new reservoirs. There’s a ‘traditional’ carbon fiber unit up top, with two smaller tanks down low (one of which contains the Buell’s fuel pump). Those are all available from the Bottpower catalog, along with the carbon fiber tail section. 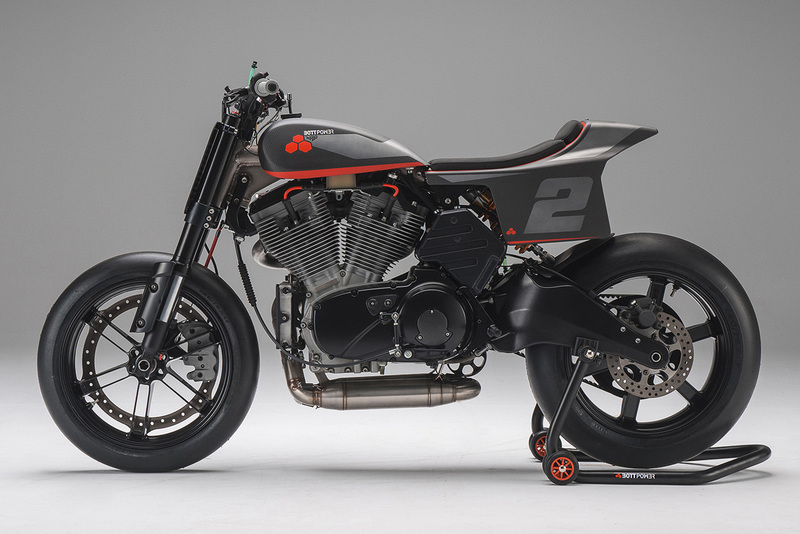 It all makes for a damn-fine looking motorcycle—but looks aren’t everything. The XR1R’s been treated to a suspension upgrade, with Showa forks from a Buell 1125 and an Öhlins shock out back for good measure. David’s installed a new fuel management system, complete with adjustable traction control, launch control and three switchable engine maps. 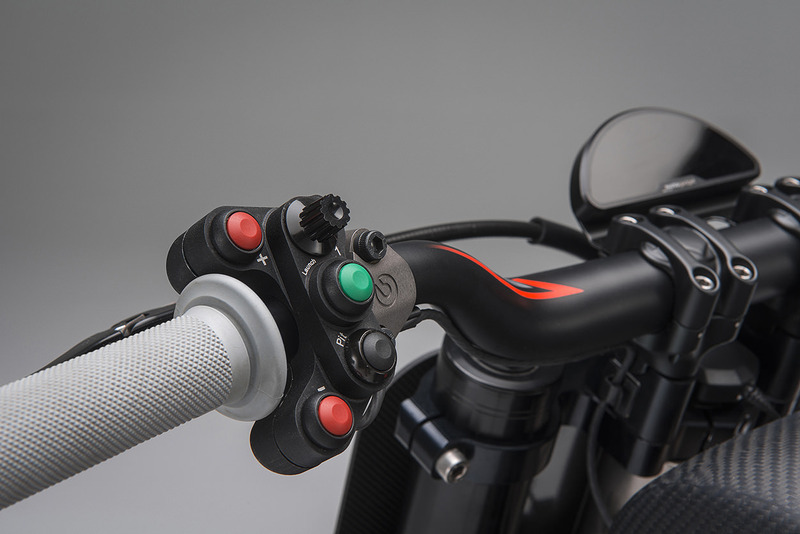 Data engineering is his forté, so he’s also set the bike up with a data acquisition system. 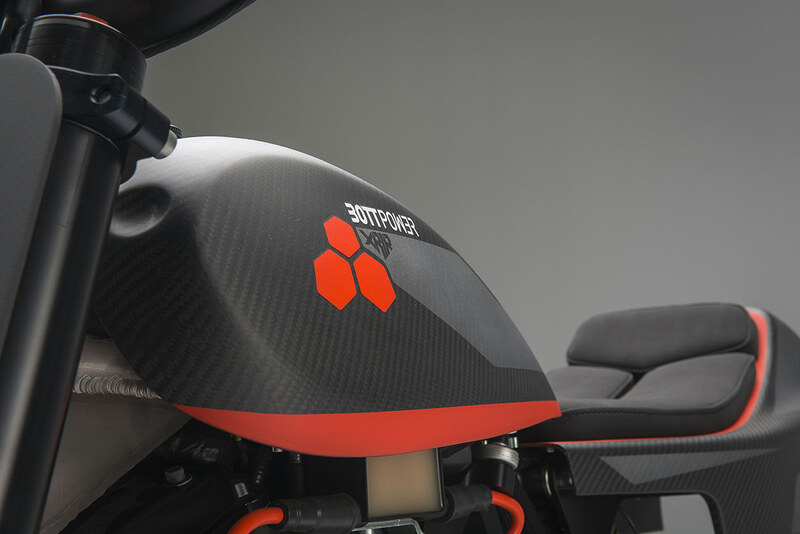 Further boosts come from an Italian GPR silencer and Bottpower’s proprietary air intake system. The brakes have been upgraded too, to maximize the benefit from race slicks. We’ve been staring at the close-ups for hours, geeking out over every detail. 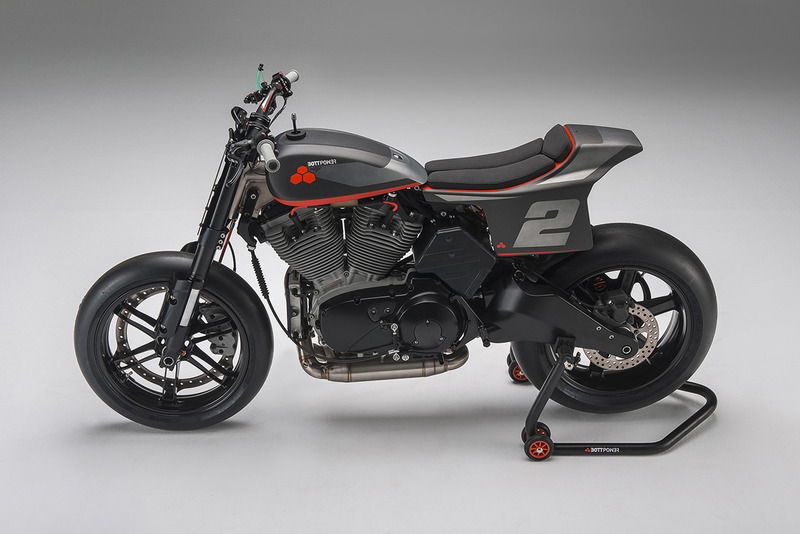 From the Easton bars and risers, to the Brembo controls, Motogadget dash and carbon fiber details on the engine casings, the XR1R is pure perfection. But despite all the work that’s gone into it, David reckons that he and his team are far from finished. “In fact, we are at the beginning!” he says. They’ve got a full season of testing ahead, including track sessions with journalists and their most loyal customers. Their ultimate goal is ambitious: competing in the prestigious Pikes Peak hill climb. It’s no walk in the park, but David’s well aware of the challenges. 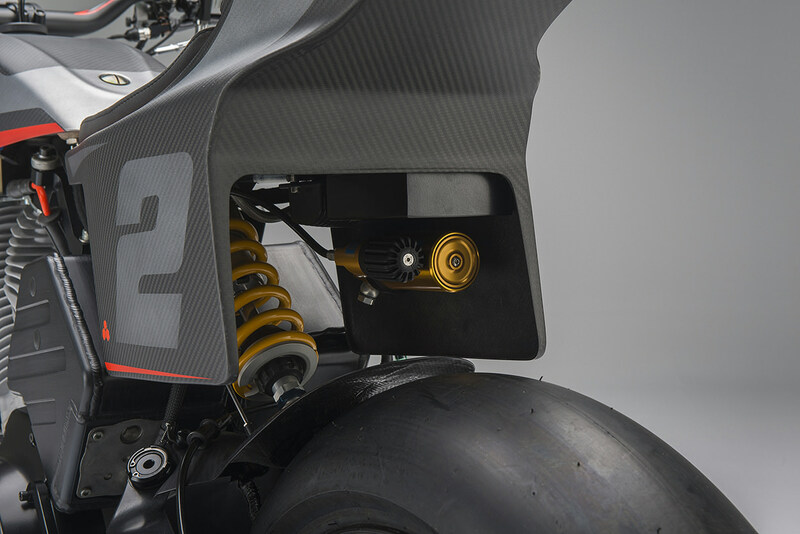 “In principle we won’t be able to use the titanium frame because it is not allowed by the technical rules, so we will need to look for another solution,” he says. To the speed freaks out there, this will sound fantástico. But if your cojones are smaller than grapefruits—or you want to ride on the road—Bottpower has you covered as well. Just grab yourself a secondhand XB12SS, and fit an XC1 kit. 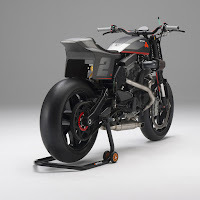 Air/oil cooled 1203cc Buell Thunderstorm V-Twin, 1203 cm3. Titanium central Spine Bottpower frame, with vibration isolation system. Front Suspension: Showa inverted fork from a Buell 1125. Fuel Capacity: 13 liters. 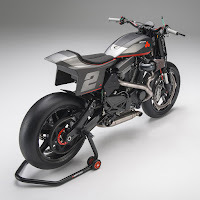 The bike has a top fuel tank and 2 secondary fuel tanks. Original Buell fuel pump located in the left secondary fuel tank.